Earlier today, we announced that we had a beta Android 7.0 Nougat firmware that we’ve installed on a Galaxy S7. With that, we also compiled a gallery of screenshots to give you an idea of how it would look. From our interaction, the new UX provided a clean, smooth and intuitive experience. For Galaxy S7/S7 Edge users that would like to test it out for themselves, the S7 version is titled G930FXXU1ZPK4 and the S7 Edge version is G935FXXU1ZPK4. As a disclaimer, please flash at your own risk. We advise not to flash because the firmware is not fully stable and could potentially cause harm to your device. Strongly recommend waiting til the official update rolls out. 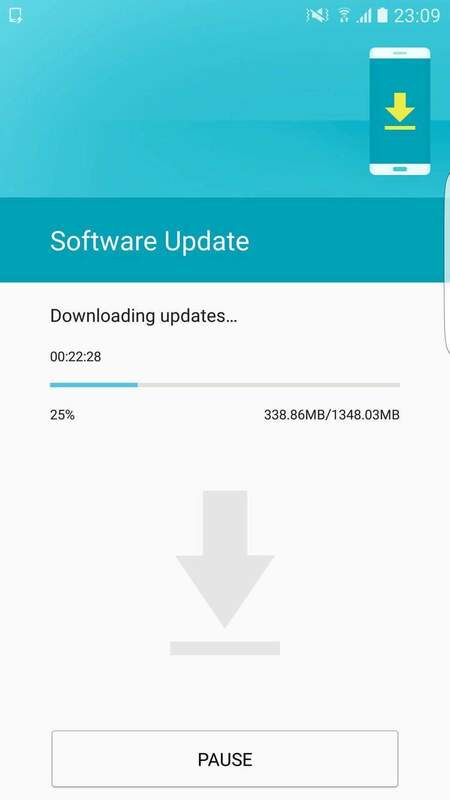 As an added bonus, Samsung just pushed out an OTA update for all beta users in the UK. there Rom Amharic Language ? Hi, I need n7100 .pit file to a device from Brazil. Someone ? How can I know when galaxy note 5 was first activated? I need the appropriate file(s) to upgrade a Galaxy 3.1 tablet GT-P7500 to 4.0.4. Hi everyone.. im having problem with my galaxy s5. The build number is (sm-g900).. i was thinking why it appear like that.. i cant find any suitable firmware for my phone as all thefirmware shown in this website only for other build number such as (sm-g900f) ,(sm-g900h) (sm-g900h).. can anyone help me? Hello, I flashed the Nougat beta 1 to my g930f, but the Samsung apps doesn’t work, S Health says device compromised, and My Knox says the same, even though the Knox counter is still 0 and status says official, how can I check whats wrong? I can now answer my own question: “Will users with the leaked Beta and installed via ODIN get OTA Update”. The sad answer: NO. Only users who officially applied for the Samsung Beta (does not matter if they then installed it manually with Odin or waited for the Push Notification) are able to update the Beta via OTA. Lets hope the 3rd Beta also leaks (the 2nd Beta supposedly only fixed Facebook related issues). Is this official beta? And no knox count ? Official and it does NOT trip the knox count. How about S7 T-Mobile? Will sammobile post that Android 7 firmware too? Just finished installing this Beta Firmware and everything seems to be working fine, (wifi, bluetooth, calls, text messaging). Will test further and see if there will be apps not working. It’s always my way not to include the BL when flashing beta firmwares on my phone. Downloaded And flashed and worked .for starters wow Samsung have done great job on UI but they have gave touch of IOS .works for me. Beta have a lot of glitches. Battery drain like leaked water tap , network issue , call doesn’t connect , LTE doesn’t not work in India. And other small glitches. Still it’s beta ..ive tasted Android nougat. So again rolling back to Marshmallow. Till final and official release. Bye bye nougat .hola marshmallow. Será que tem idioma Português do Brasil ? …. …. To pensando em fazer essa atualização.